PATTANI • Weaving through military checkpoints and speeding down a seafront road, our pick-up arrives at a cluster of pink wooden chalets squeezed onto a cape overlooking an azure gulf. Haad Sai or "Sand Beach" Resort in southern Thailand's Pattani province is packed on weekends with locals from the surrounding insurgency-plagued region. But there is a lot less sand these days, and not much of a beach. One of its chalets rests on concrete pillars, some of which now dangle in mid-air after the waves clawed the sand underneath into the sea. The shrinking beach is lined with a fortress of concrete cylinders, which little girls clamber over gingerly to reach the bobbing banana boat. 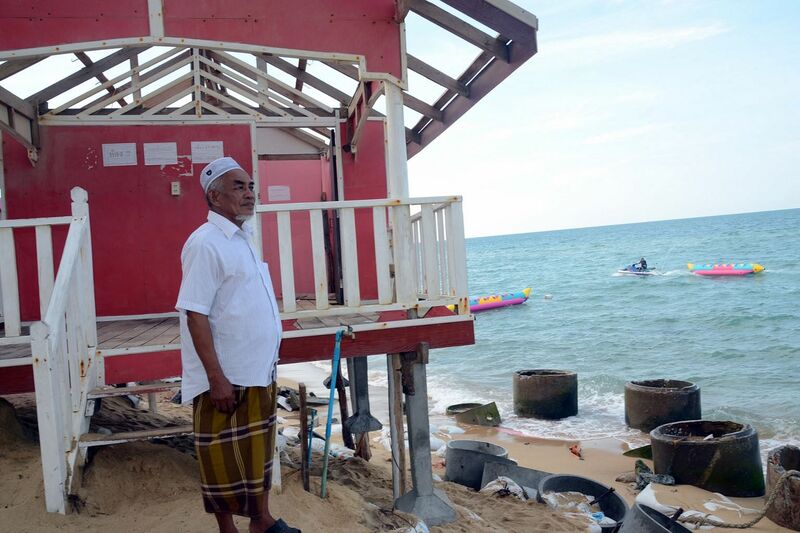 "I didn't think I might lose my resort because of erosion," says Haad Sai Resort's owner Domea Maha, 63, who built it just three years ago. "If Allah wants the resort to remain here, maybe He might top up the sand. But if He doesn't want it here, He might take away the sand." 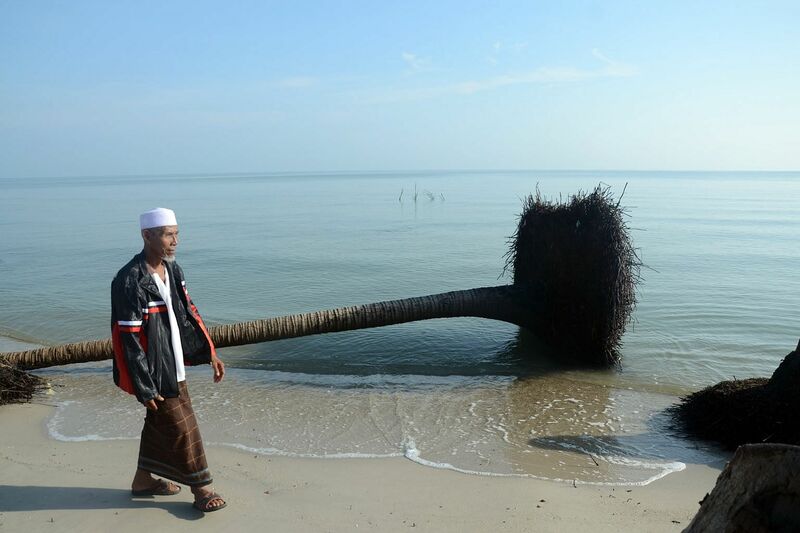 Coastal erosion threatens a quarter of Thailand's more than 3,000km-long shoreline. According to the Department of Marine and Coastal Resources (DMCR), it is particularly critical along 185km, where the shoreline would recede more than 5m every year if left unattended. Most of these endangered beaches lie along the country's eastern coast overlooking the Gulf of Thailand, home to numerous fishing communities as well as a major port and industrial estate in Rayong province. Many factors can cause the sea to swallow land. The destruction of mangroves, for example, has stripped the shoreline of natural protection against the waves in both Thailand and Malaysia. In China, dams have reduced the transfer of sediment that shores up the banks of estuaries. Excessive pumping of groundwater has been blamed by scientists for putting Bangkok at risk of sinking. 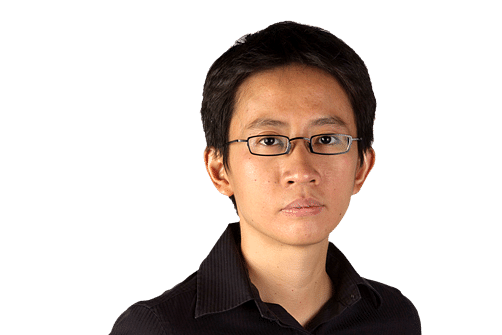 "Most people think that it's because of the rise in sea levels from storms and climate change," Prince of Songkla University's marine scientist Sakanan Plathong tells The Straits Times. "But the real reason is construction." He opens up satellite pictures on his laptop to make his case. On the southern stretches of the Thai peninsula, concrete structures built perpendicular to the beach block the waves from depositing sand on one end, scouring the shoreline there of sand and vegetation. In other instances, when a seawall is built to protect one section of the beach from marauding waves, the force of the deflected water strips the land from neighbouring plots. It also leaves the nearby plots even more vulnerable during heavy storms, notes Dr Absornsuda Siripong , a retired academic from Chulalongkorn University, who has studied the issue in detail. The construction of one seawall or breakwater inevitably triggers similar works nearby. Seen from the ground, the damage and the human-built fortifications are equally dramatic. In Nakhon Si Thammarat's Pak Phanang district, for example, a series of stone breakwaters sits parallel to the shore, stretching as far as the eye can see. The existing breakwaters stretched for 8.4km last year, with work on another 31.6km under way, according to a report by the National News Bureau of Thailand last year. Over in Pattani, where a separatist insurgency has kept the region under tight military watch, the construction of stone reinforcements to the banks of estuaries or canals leading to the sea has worsened erosion and forced villagers to abandon their homes and farmland. Mr Domea Maha built Haad Sai Resort just three years ago, but has lost two of his 10 chalets, including the one behind him, to coastal erosion. The sand under this chalet's concrete foundation has been washed away by the waves. Local fishermen admit they are partly to blame. Before these reinforcements were built, annual storms would deposit sand at the mouths of these estuaries, and sometimes alter the paths of the waterways altogether. Erosion occurred gradually and naturally as the wind and waves shifted sand from one section of the coast to another, and back. To locals, though, it was plain inconvenient. Mr Muhamasukree Masaning, president of the Pattani Province Small-Scale Fisher Network Association, said it forced the fishermen to occasionally look for new routes to take their boats out to sea. They had to deepen the waterways themselves, or slowly pull the boats out to the sea through shallow passages. About 20 years ago, they asked the government for help. The Ministry of Transport's Marine Department eventually built these stent-like gateways that stretched out into the sea. At least 10 such structures were erected between 1999 and 2010 in Nakhon Si Thammarat, Songkhla and Pattani provinces. The effects of those developments are still being felt now. In Nong Chik district, the beach north of one such gateway has been decimated, leaving a local school extremely close to the water's edge. In response, locals erected a cluster of slim concrete pillars to weaken the waves hitting what is left of the shore. It is no longer possible to have a clear view of the horizon from that beach, but locals take comfort from the occasional harvest of shellfish that attach themselves to these pillars, which jut randomly out of the water. Those who lose their land, like Mr Kari Cik A-li, 67, have no recourse. 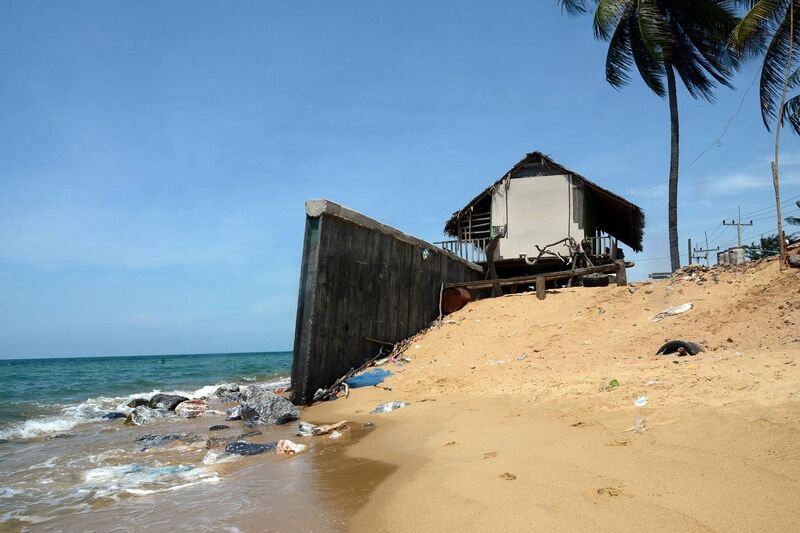 The fisherman's childhood home by the sea in Nong Chik had to be dismantled some 30 years ago when the waves, which advanced an average of 3m every year, got too close for comfort. His parents' 2.4ha of land, which was used to grow coconuts, chilli, lemongrass and even watermelon, is now also underwater. "When I lived there, I didn't have to buy many things," muses the fisherman, who now lives further inland. "I could even save 30 baht (S$1.15) to 40 baht every day. "Now, I have to buy everything, even water." While the Marine Department has been blamed for erecting these gateways, it says it was merely responding to local demand. "When you go to the local people, you get the sense that they don't care (what you build) as long as the government officer reacts as quickly as possible." In addition to breakwaters and seawalls, the agency also reinforces shorelines with sloping layers of rock, and dredges sand from the seabed to "top up" decimated beaches in tourist haunts like Pattaya. These works cost some 600 million baht every year. Mr Muhamasukree admits villagers are often impatient for results. "They don't see the big picture," he says. "They think only of themselves. When their house is eroded, they just think of how they are going to protect their house." Haad Sai Resort, for example, sits near a road protected by a sea wall. Mr Domea tries to blunt the force of the deflected waves by submerging cylindrical concrete drums into the sand on his property. Asked if his actions might affect his neighbours' land, he replies: "I got a good result. Other people also have to use this method to protect their land." The DMCR says it is trying to educate local officials about this subject. Mr Vudhichai Janekarn, its special expert on planning and foreign affairs, says: "We don't know exactly what is going to happen whenever we put something on the beach, so we need correct information." Meanwhile, his agency is trying to rehabilitate some eroded areas by planting rows of bamboo stems on the seabed, in the hope that the sediment subsequently trapped will be rich enough to nourish new mangrove forests. These bamboo clusters now stretch along some 22km in eight provinces, including Chonburi, Samut Prakan and Chachoengsao near Bangkok. Enough shoreline has been reclaimed to catch the attention of some 100 former landowners, who are trying to lay claim on the new plots, he reveals. But the effectiveness of that method is limited, says Dr Absornsuda. "If you have already lost the land, it's very difficult to replace it." The annual monsoon waves are simply too strong. Mr Domea holds on to the hope that his dwindling plot will stop shrinking. "I want to leave this land for the next generation," he says.